Companies of all sizes are looking for employees who can adapt to the rapid changes and challenges of today’s work environment. Employers have named creativity and innovation as the top qualities they look for in their staff—and what better way to challenge and stretch yourself than by practicing the art and skills of improvisational comedy? 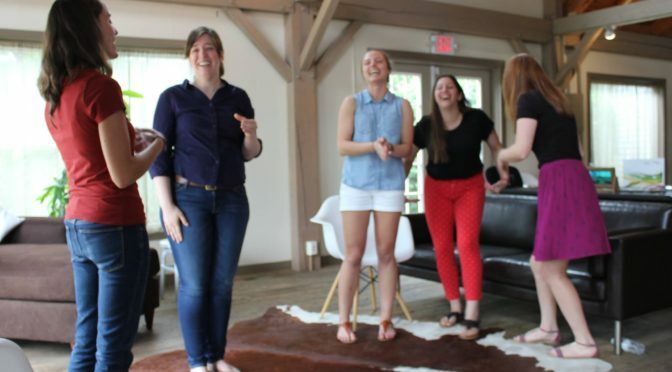 Improv applies to big-picture business strategies as well as to on-the-ground skills like improving relationships with customers, handling conflict, closing deals, networking, listening better, and approaching work with a positive attitude. Have a look at our workshop packages for workplaces and contact us to bring one to your organization, or to talk about customized courses & workshop offerings for your company.